It used to be possible to keep aloe fresh without a preservative. But now there is a way! 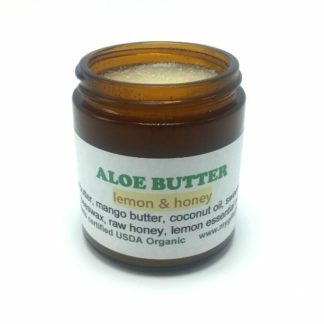 I use my own homegrown organic aloe, dehydrate it slowly to retain the medicinal benefits, grind it into a fine powder, and blend it into a body butter base. 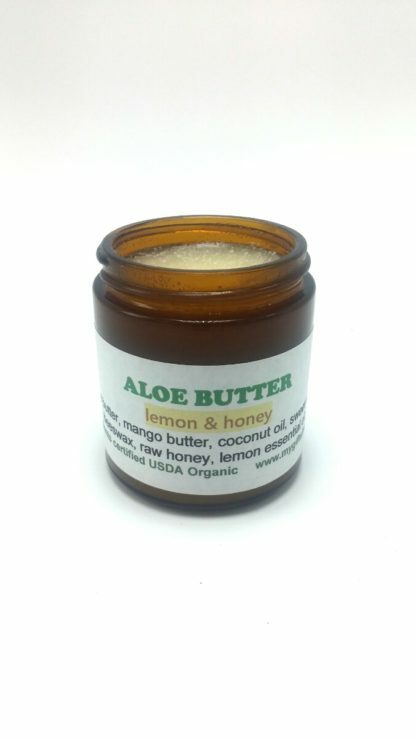 Aloe vera has been used for thousands of years to heal and protect skin. Dramatic results have been seen of rapid wound healing, scar minimizing, as well as soothing bug bites. It is a natural antibacterial, antifungal, and antiviral. 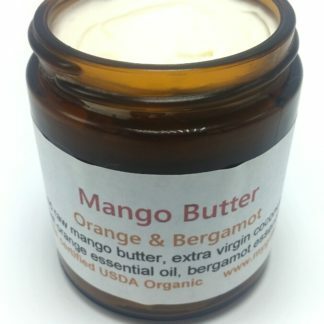 Ingredients: organic mango butter, organic extra virgin coconut oil, organic sweet almond oil, organic jojoba, organic aloe, organic beeswax, organic raw honey, and organic lemon essential oil. Jojoba is amazing for the skin because it is the only substance that is bio-identical to human sebum – an oily substance naturally produced by the oil glands below the skin surface. It seals in moisture and creates an effective barrier to external elements. 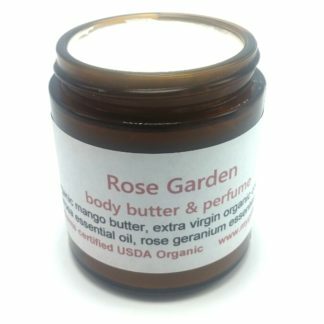 Beeswax gives this body butter staying power! Raw honey has natural antibacterial properties. 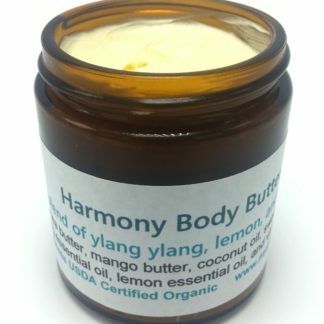 Lemon essential oil treats blemished skin, has mild exfoliation properties, relieves muscle pain, swelling, inflammation, and headaches, and promotes healthy circulation. 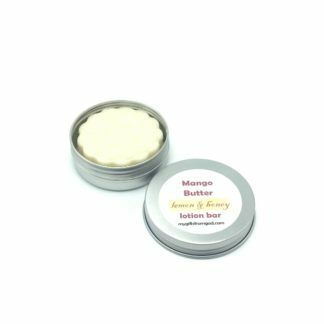 This handcrafted body butter is perfect for all skin types, makes a wonderful hand cream, and perfect to apply anywhere you have dry skin. 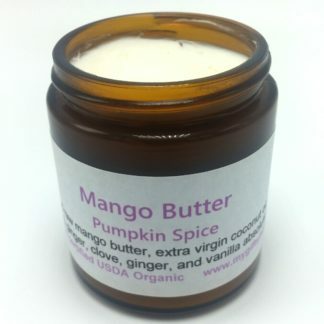 It comes in a beautiful 4 oz. amber glass jar to protect the fragile oils. This formula is also available in our Aloe Bar Soap and Aloe Bath Bombs.